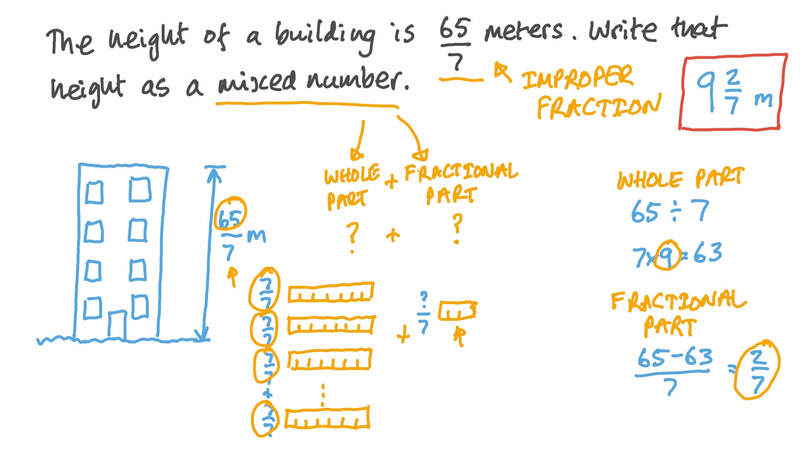 In this lesson, we will learn how to write improper fractions as mixed numbers. Convert the fraction 5 3 1 0 to a mixed number. The height of a building is metres. Write that height as a mixed number. Rania’s shopping bag weighs pounds. 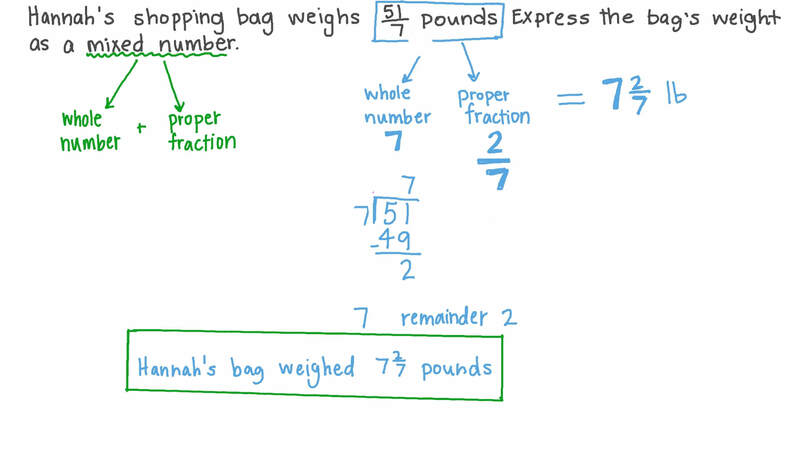 Express the bag’s weight as a mixed number. The given table demonstrates the ingredients of a recipe and the amount of each ingredient. Express each ingredient’s amount as a mixed number in its simplest form. Adel is years old. Express his age as a mixed number in the simplest form. Express, in years, Maged’s age as a mixed number in the simplest form. Mariam baked 21 cupcakes. How many dozen cupcakes did she bake? Express the number as a mixed number in the simplest form. The numerator of an improper fraction is . Write 1 1 3 2 and 4 1 3 1 3 in their simplest forms so that neither contains an improper fraction. Every improper fraction is . Convert the fraction 1 2 1 0 to a mixed number. Convert the fraction 4 1 3 to a mixed number. Convert the fraction 5 7 8 to a mixed number. 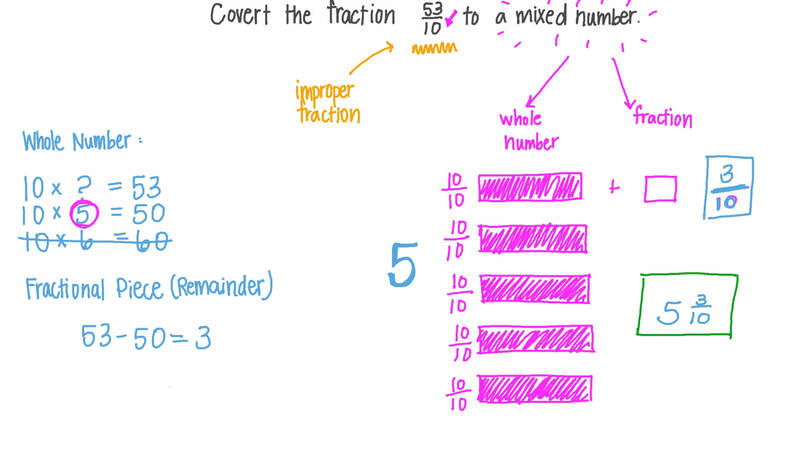 Convert the fraction 6 9 4 to a mixed number.